Reading aloud to your children is one of the best things you can do for their development. Not only does it help hone their literacy and language skills. But reading aloud also strengthens the bond between parent and child. Sometimes, however, fatigue may get the better of us. Or our child-like tendencies emerge, and we yearn for someone to read a good story or two like our little ones. 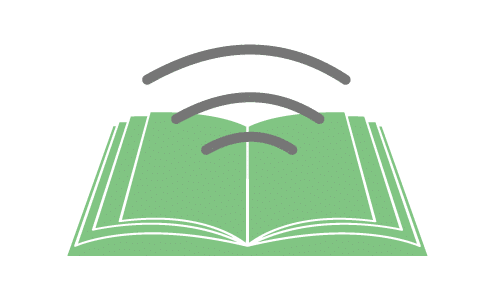 Whichever the case, online read-aloud books are to the rescue! 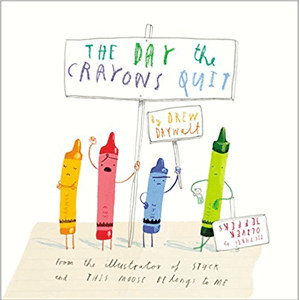 Check out our list of the 50 best read-aloud stories that you and your child can listen to and learn from. Has your child ever asked why cats and dogs don’t get along? A tough question to answer, isn’t it? 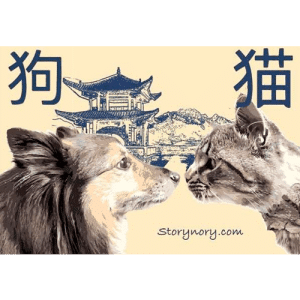 While we may never know why the two furry pets are enemies, this story from China, as told by a mouse, should make for an interesting answer. Hint: Cats and dogs weren’t always enemies, and at one point, they even worked together to turn an unfortunate series of events around. 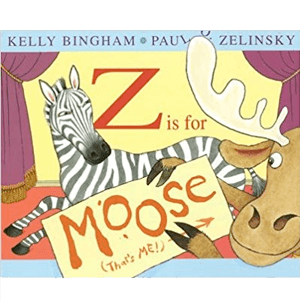 This different take on the alphabet is prepared by the well-meaning Zebra and his ever helpful friend, Moose. 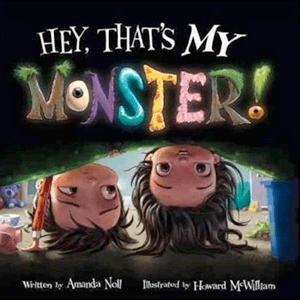 While a short read, this book written by Kelly Bingham is sure to crack up the reader, especially the young ones. Leo is someone you’d like to be friends with. He loves to draw. He has a knack for making delicious snacks, and he’s very welcoming, too. But the catch? 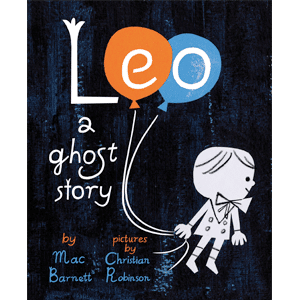 Leo is a house ghost. When a new family moved into his place and misunderstood his efforts to accommodate them, he decides to leave and see the world. Will anything good come out of his adventure? 13. 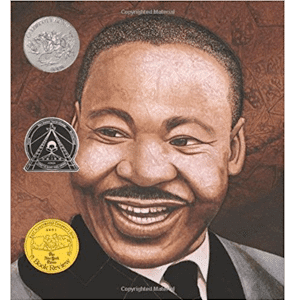 Martin’s Big Words: The Life of Martin Luther King, Jr.
“Hate cannot drive out hate. Only love can do that.” The passage is only one of the big words by Dr. Martin Luther King, Jr., the most visible leader and spokesperson of the Civil Rights Movement. 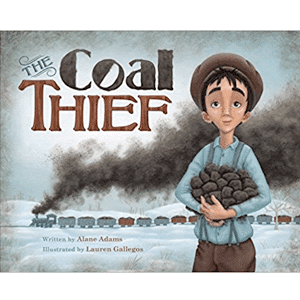 Written by Doreen Rappaport, the illustrated book weaves a captivating narrative with Martin’s big words. 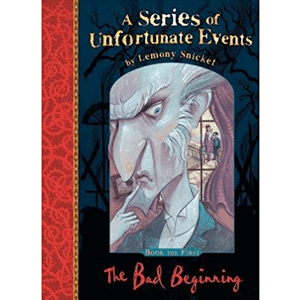 “If you’re interested in stories with happy endings, you’d be better off reading some other book,” says author Lemony Snicket in the first line of his world-renowned classic. The Bad Beginning tells the story of Violet, Klaus, and Sunny’s adventures and attempts to escape their crazy Uncle Olaf’s assassination plans. 15. Moo Baa La La La! 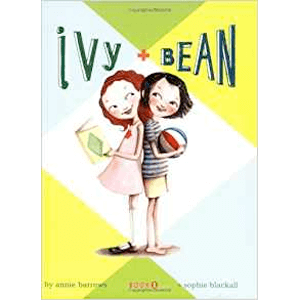 A fun, wacky, and illustrated book by Sarah Boynton shares the crazy antics of farm animals as they make silly sounds throughout the day. 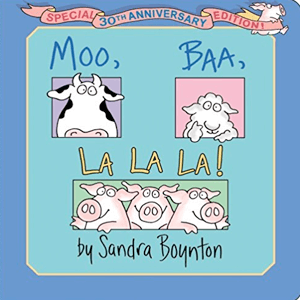 The book is a short read but the little one’s sure to have fun mimicking the cow’s moo and sheep’s baa. This story by Helen Recorvits speaks of a Yoon’s difficulties in adjusting to her new American life. 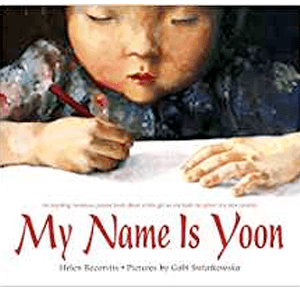 The first-person narrative is simple enough for little readers to understand, yet stays true to a small Korean child’s confused point of view. Despite the struggles, Yoon found the courage to accept her new life and feel at home. 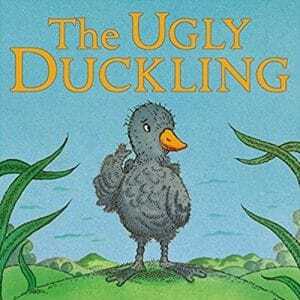 This classic Aesop adaptation shows us that acts of kindness are never wasted. 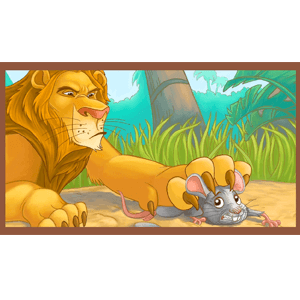 A ferocious lion and a timid mouse may not belong under the same tree. But the two still found harmony together and proved that heroes come in different sizes. Irene is the daughter of Mrs. Bobbin, a dressmaker. The latter wasn’t feeling well, but she managed to sew the last stitches for the Duchess’ gown. Irene needs to deliver the dress before the ball. But a storm is raging, making matters worse. 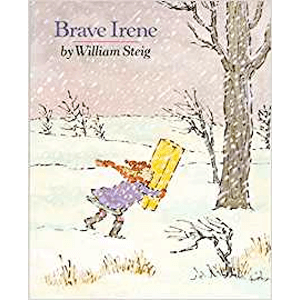 Will brave little Irene make it in time? 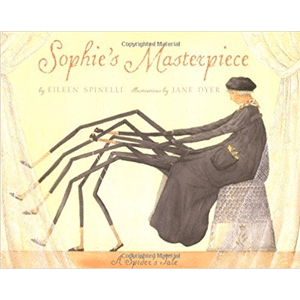 Sophie is a house spider with a knack for artistry, weaving webs more intricate and wondrous than the one before. All is well, except that the guests at Beekman’s Boardinghouse (where Sophie lives) hate spiders to the bone! Julian is not only a wishful thinker. He’s also a great storyteller, convincing people and his younger brother Huey to believe just about any tale he tells. 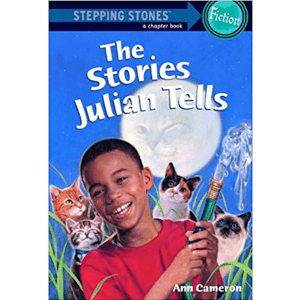 Unfortunately, such stories can lead to trouble, which is exactly what happened to Julian and his brother! 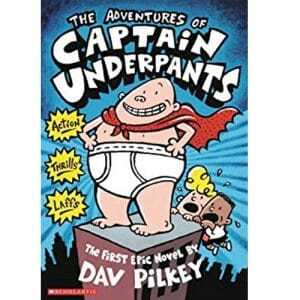 This book is a great read especially for kids with an imaginative and open mind. 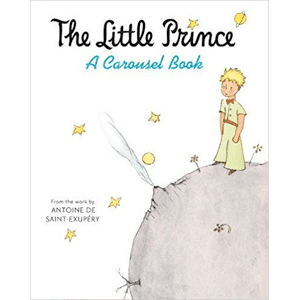 The Little Prince is the most famous writing of the French aristocrat, writer, and pilot Antoine de Saint-Exupéry. 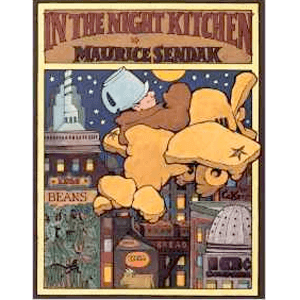 The novella juxtaposes how adults and children see the world differently, challenging everyone to look at life and the world with a different pair of lens. The letters a, b, and c decided to go to the top of the coconut tree. But will the tree have enough room for the other 23 letters of the alphabet? 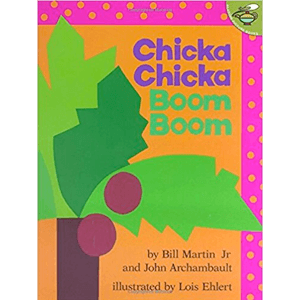 This rhyming and rhythmic book will surely make for a livelier and more fun-filled ABC lessons with your child. Mischievous Max, in his white wolf suit, was sent to bed without supper by his mother. He’s chasing wild things, but he’s now under lock and key. Or is he? 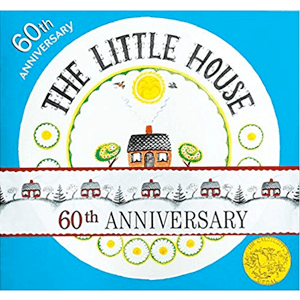 This book teaches kids and grown-ups that, while imagination can take you anywhere, there’s no place like home. This tale is about a bullied, neglected, and book-loving girl, who discovers her telekinetic powers. At first, she resorts to pranks like glueing his father’s hat and dropping a glass of water on the headmistress. But eventually, she learned to put her telekinetic powers to good use. 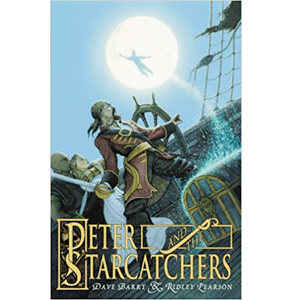 An excellent read especially for children who love fantasy and adventure! 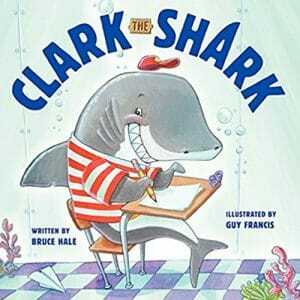 If your child has grown bored of the usual primer books, take a fun-filled break with the Hocky Family! 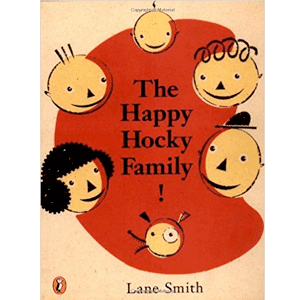 From the first page to the last, The Happy Hocky Family keeps getting funnier, delivering lots of irony, satire, and laughs for the whole family – using vocabulary that’s easy for beginning readers to understand. 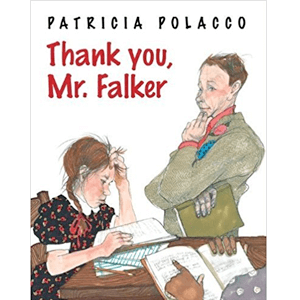 Are you looking for a kid’s book that teaches selflessness and generosity? 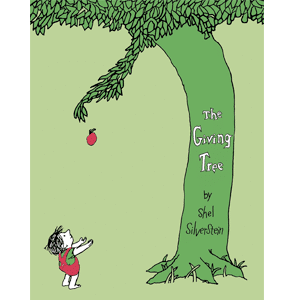 Start with Shel Silverstein’s The Giving Tree. The story tells the tale of an apple tree who’s ready and willing to give anything to the boy it loves. From the shade of its leaves to its trunk, this tree just keeps on giving! Like most new students, Trisha is excited to start school and learn how to read. But things take a rough turn from the get-go. The numbers and letters get jumbled up when she tries to read, and her classmates call her “dummy” compounding her learning problems. Will little Trisha rise above the challenges? 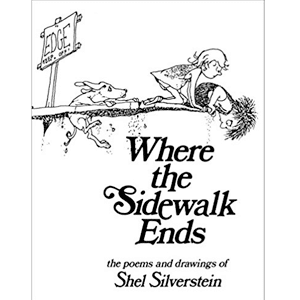 Here comes another children’s book written by Shel Silverstein. This collection of short but expressive poems has had many interpretations. But a general conclusion has been drawn: children live in a world that’s full of life and joy. And if adults are to experience the same, they need to take a step back and look at the world in the eyes of a child. 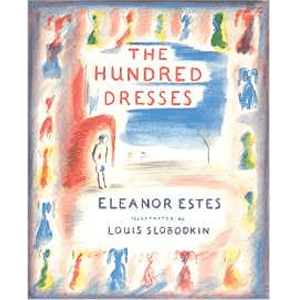 The Hundred Dresses addresses socioeconomic and immigrant issues that people may shrug their shoulders at. 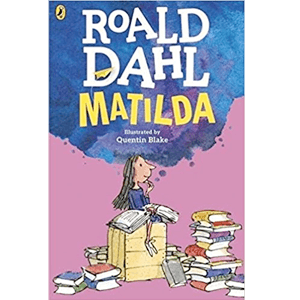 At the heart of the story is Wanda Petronski, a girl who wears the same faded blue dress to school every day. The dress wouldn’t have been a problem had she not tell an understandable lie – that she has a hundred dresses – to try to appease her dress-obsessed circle. Weird and incredible as expected from Dr. Seuss! 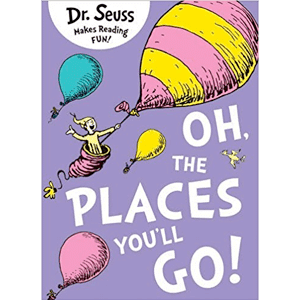 This book teaches readers about life’s ups and downs using Dr. Seuss trademark illustrations and humor. Yes, life is one tricky balancing act. But no matter how tough the going gets, you’ll always find time for fun. 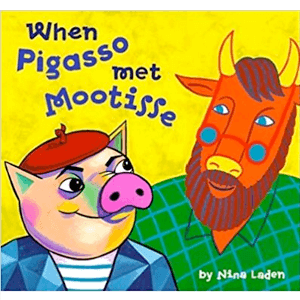 Pigasso the pig and Mootisse the bull were no ordinary farm animals. Instead of bathing in mud or bullfighting, the two created masterpieces that dazzled art lovers around the world. The two art superstars were friendly with each other at first – until their different styles clashed and harsh criticisms followed. An art battle is on! A boy making a plane out of bread dough? If such a scene captures your curiosity, you must read In The Night Kitchen. 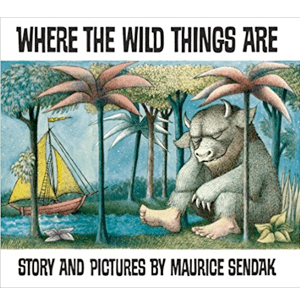 This book by Maurice Sendak is a beautiful piece of fantasy, one that can capture the imagination and leave one with a surreal, dreamlike imagery. 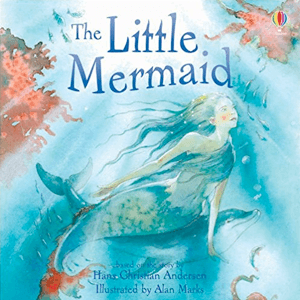 A young and lovely mermaid is allowed to see the surface for the first time. And on her outing, she saw and fell in love with a handsome prince. Blinded by love, the little mermaid went to great lengths to live on land like the prince. But will her pains and sacrifices pay off? Will the prince love her back? Greg is a home body, one who prefers to spend his summer days playing video games. No responsibilities. No rules. But his mom holds a different view. Summer is for getting together to have fun outdoors. 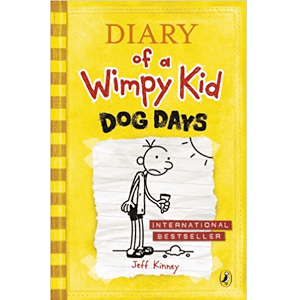 Will Greg get to spend the summer his way? In this “always connected” world of ours, Facebook updates, smartphone notifications, and text messages keep us up late into the night. 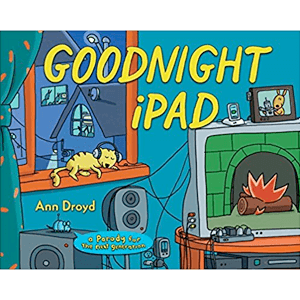 If you and your kid find yourselves clinging onto your devices in bed, this book by Ann Droyd will remind you to power down and unwind at the end of the day. Ramona is a 3rd grader, and she likes that people can count on her. But her dad is going back to school. 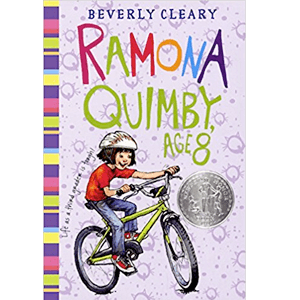 And the list new challenges for Ramona is only growing: from an annoying yard ape, a new teacher to deal with, making a mess at school and more. 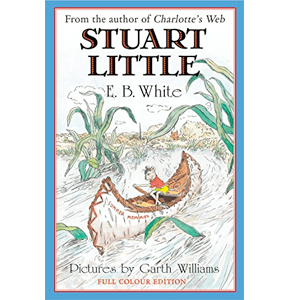 Stuart Little is a time-honoured classic by E. B. White. 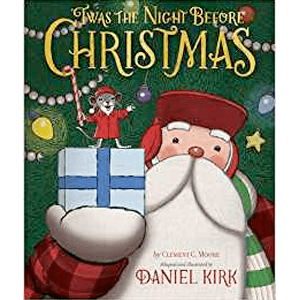 The book tells the story of a young mouse who became an unlikely member of a human family. While shy and thoughtful, Stuart loves adventures. Follow the cute mouse as he sets foot outside of his home for the first time, searching for his friend Margalo. 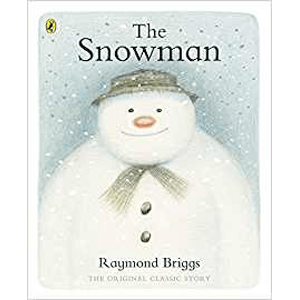 The Snowman is full of questions: Who am I? How did I get here? And what’s that glowing ball up in the sky? His only companion, the watchdog, tried to answer his questions. The Snowman finds his very existence confusing. But the weirder part? He fell in love with a stove! 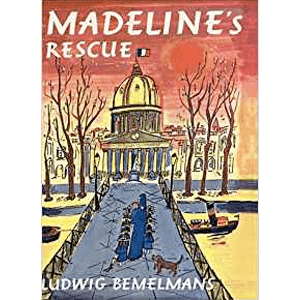 Twelve little girls in two straight lines were walking through Paris, and Madeline was the smallest of the dozen. All is well until the little Madeline slipped and fell off the bridge. The fall would’ve been her end if it wasn’t for a dog named Genevieve. But will Lord Cucuface let the dog stay with the girls? 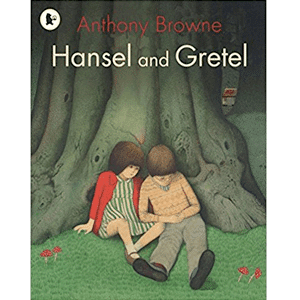 Hansel and Gretel’s lives are in danger. Just about everyone is trying to kill them. Their parents have abandoned them in the forest where they encounter a witch with a freshly baked house packed with sweet treats. But the brother and sister duo are cunning and smart. Duncan’s crayons went rogue. When the poor fella reached for his crayons, he found a pile of letters for him in their place. Red and gray are overworked. Black feels misunderstood. White feels empty. And the list of grievances goes on! Join Rosalba and her grandmother (her Abuela) as they take on a magical journey. Fly over New York City, Marvel at the streets and sights, and learn more about the people below and their culture. 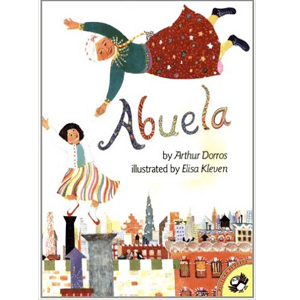 This charming children’s book by Arthur Dorros is also sprinkled with Spanish phrases, making it an excellent stepping stone for kids looking to learn a new language. 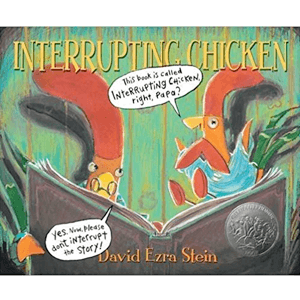 Little red chicken has an understandable yet annoying habit of interrupting when his papa tells him bedtime stories. In the process, he “saved” Hansel and Gretel, warned Red Riding Hood of strangers, and stopped Chicken Little from getting upset. They’re out of stories, and little red chicken isn’t even sleepy! 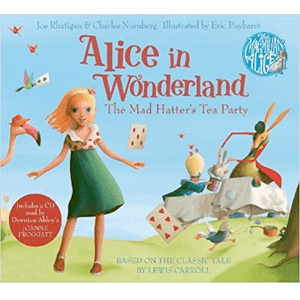 A little girl named Alice found an odd White Rabbit with a pocket watch. The curious sight got the better of her, and she followed the furry creature into his hole. And if that’s not weird enough, she also found a bottle labeled “Drink Me.” Alice obliges, and a string of even stranger things began to unfold! 46. 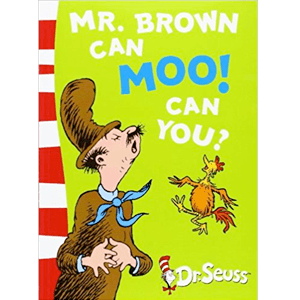 Mr. Brown Can Moo, Can You? This “book of wonderful noises” by Dr. Seuss puts Mr. Brown and his sound-making wonder front and center. He can go moo like a cow, hoo hoo like an owl, buzz like a bee, and that’s just to name a few. But can you do it, too? 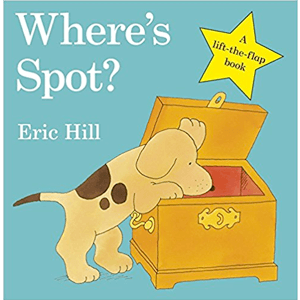 In this children’s book by Eric Hill, readers go around the house in search of Spot, a puppy who hasn’t eaten his dinner yet. Where’s Spot is an excellent tool for teaching spatial concepts to little minds, and parents may find it as a good conversation starter, too. 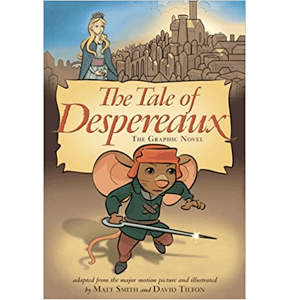 Despereaux Tilling is a mouse who is in love with a princess. Roscuro is a rat who longs for a world filled with light. Miggery Sow is a wishful servant with a simple yet impossible wish. The Tale Of Despereaux is a story of these 3 colorful characters who went on a journey that ultimately led them to each other’s lives. Princess Magnolia was having hot chocolate and sweet scones when the monster alarm went off. 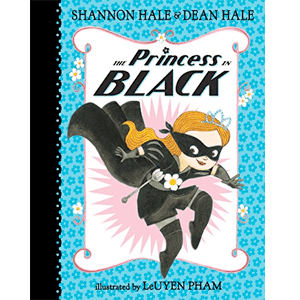 From an innocent-looking royalty, Princess Magnolia transforms to the Princess In Black, complete with a ninja-like outfit and weapons to fight off creatures from Monster Land. 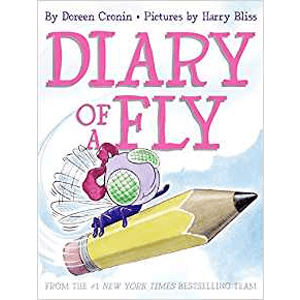 This colorful story by Jane O’Connor delivers a healthy dose of dress-up, warm family love, and fancy fashion and vocabulary. 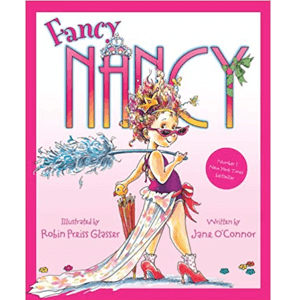 If your little girl loves dressing up and living an elegant life, Fancy Nancy is a great addition to your reading library. I hope you like the list and found a story or two you’d want to listen to with your child. If you’re looking for more goodies, check out other posts full of parenting tips and resources!